The 1100 H18 aluminum sheet for pcb drilling is drilling entry material used in printed circuit board, and the technology is mature, which meets the requirements of PCB conventional drilling to some extent, and is the mainstream product in the market. 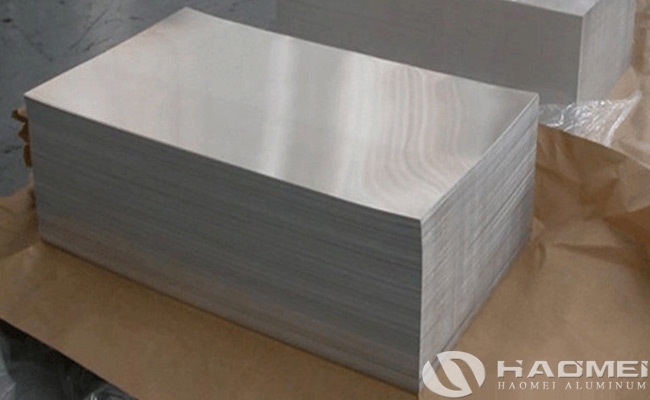 The thermal conductivity of aluminum sheet 1100 H18 is far greater than that of epoxy resin and phenolic resin, which can play a better role in heat dissipation of the drill bit. The maximum temperature of the drill bit can be reduced from 200 to 100. In addition, compared with phenolic resin cover plate, aluminum drillign entry sheet will not occur drilling fouling phenomenon, can effectively improve the quality of PCB drilling hole wall. The aluminum drilling entry sheet for PCB has high thermal conductivity, used in the drilling process to slow down the impact of the drill bit, absorb and release the heat generated by the drill bit, reduce the wear of the drill bit, reduce the drill bit deviation, improve the drilling accuracy. 1100 H18 aluminum drilling entry sheet has good rigidity and stiffness, close fit with PCB upper surface, reduce burr into hole, improve drilling quality, so as to meet the drilling requirements of high precision PCB. During drilling, 1100 aluminum sheet for pcb drilling ensures the rigidity of the cover plate, effectively absorbs and conducts the heat generated by the drill bit, reduces the temperature rise of the drill bit and the PCB, and prevents the pollution of the drill bit and drilling hole wall caused by the high temperature melting of PCB substrate.